What an exciting week! We found out that we’re having a GIRL and we couldn’t be happier! 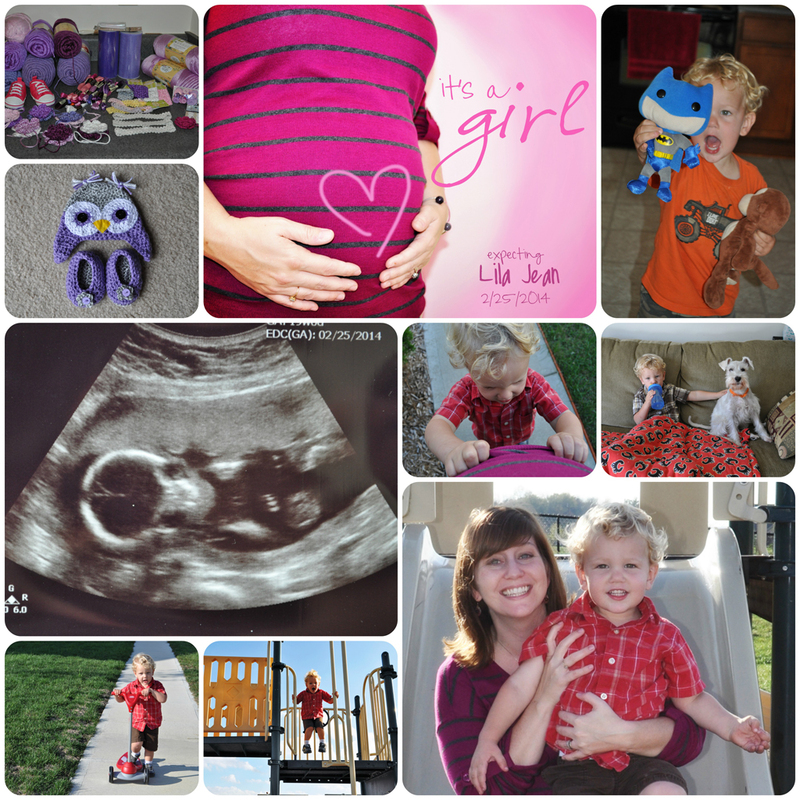 We can’t wait to meet Lila Jean in February. Of course I wasted no time in purchasing tons of purple yarns and tulle and other crafty accessories so I can start making my future daughter ALL OF THE CUTE THINGS! My favorite so far is the owl hat and little matching shoes. Waaaaay too adorable! Liam has started calling my ever protruding belly “Lila” and often insists on lifting my shirt to say hello to her. He’s going to be such a great big brother. What a busy, busy week! Grandma and grandpa Karpiuk came to visit us from Canada and we surprise celebrated Grandpa K’s birthday a little early – Cubs tickets! While they were here, we checked out the Rhythm Discovery Center downtown and had fun playing all kinds of drums. 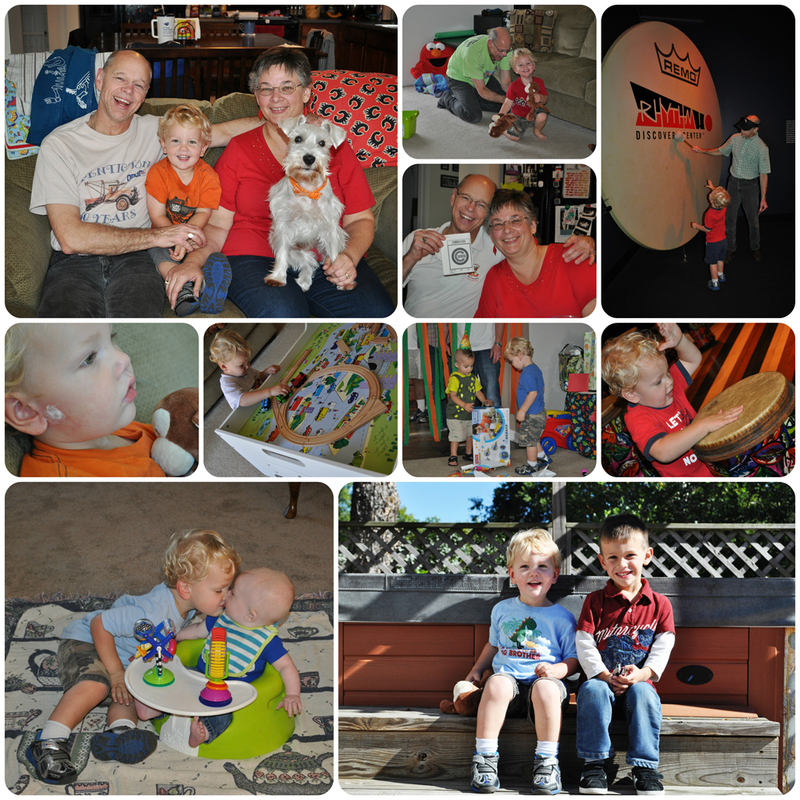 Speaking of birthdays, we actually celebrated three birthdays this week – Grandpa K, Liam’s friend, and my brother. 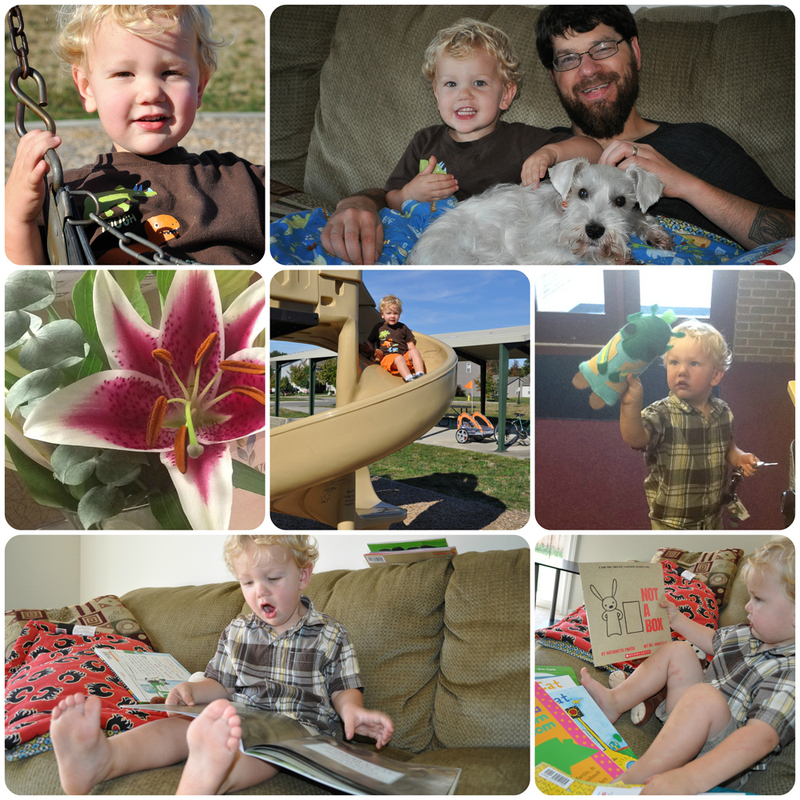 Liam got his first bee sting, (and took it like a champ) and a fun surprise – we finally found a used train table for him. There was a lot of cousin fun this weekend, too!